T/RGA/TYNEMOUTH brass shoulder title 46.7mm tall, 56mm wide. 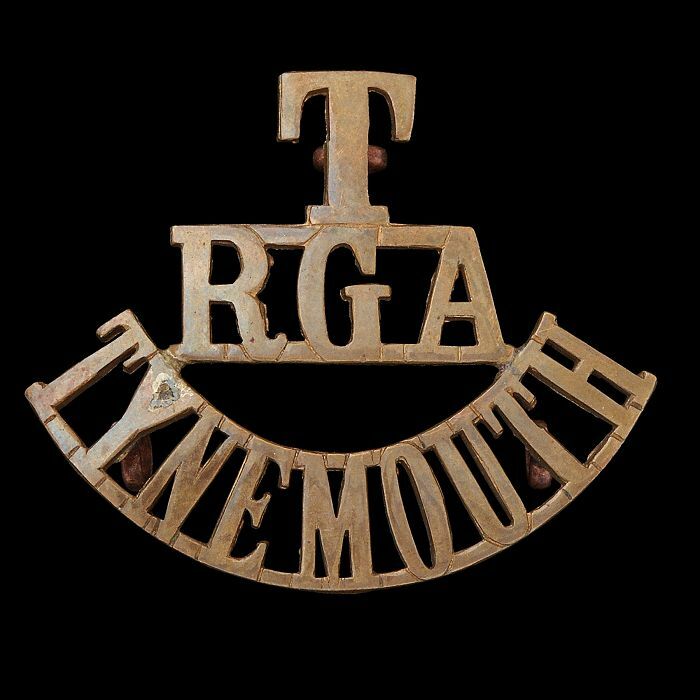 Royal Garrison Artillery Tynemouth (TF). 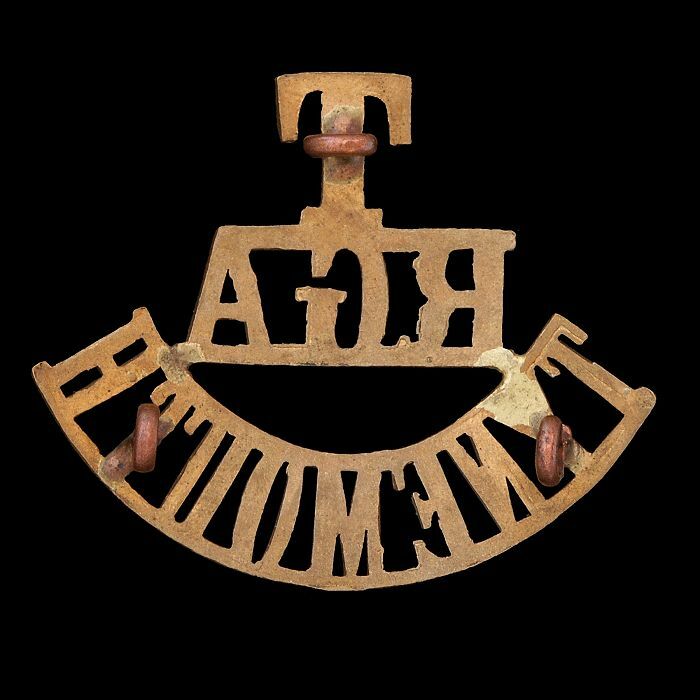 Formed in 1908 from the Nothumberland Artillery Volunteers. Strength of ‘six companies’ at the start of WW1.